Let little ones showcase their individual style with this adorable initial pendant! 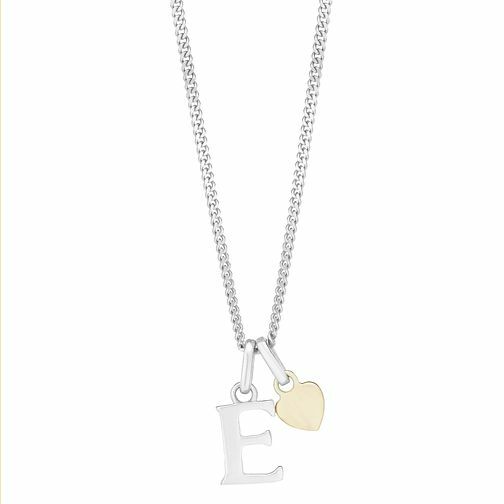 Set on a fine 14" chain, this sterling silver pendant features the initial of E, and is finished with a pretty heart shaped charm in 9ct yellow gold for an added touch of luxury sure to make them feel extra special! Silver & 9ct Yellow Gold Children's E Initial Pendant is rated 4.7 out of 5 by 6. Rated 4 out of 5 by Anonymous from Nice My husband bought this as a Christmas present for his 10 year old granddaughter and she seemed to be very taken with it.